We Tried The New Hart's Delivery Service...it's AMAZING! Are you stuck inside and can't get out the door without trampling through 2 feet of snow covering the walkway? Need food, maybe um, to live? Why not let someone else do the dirty work...Hart's Local Grocers now has a plan to do just that. One week ago, February 4th, Hart's became the only grocery store in our city to offer online shopping with delivery service - via Rosie - right to your own door. 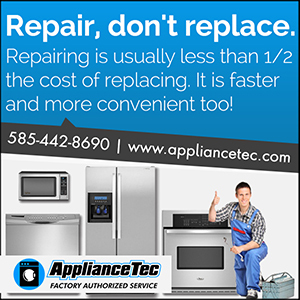 You don't even have to leave your home or apartment. …Voila! All the results containing "avocados" came up on the screen. I simply highlighted the first box and then picked the quantity that I wanted. Continuing on - I am a beer fan…but would I be able to order beer online? Absolutely, with plenty of options to choose from, just like being in the Hart's store. For my choice, I chose something local (no surprise there), and turns out the 3 Heads Rochestafarian was on sale! We're told by the team at Hart's that all prices in store (including sales and markdowns) will be reflected on Rosie as well, so don't worry about missing the weekly deals. So in case you're wondering, you can always start your shopping online and finish on your smartphone app, and vice versa. Rosie seems to be quite the smarty pants because she automatically saves your cart and allows you to resume where you left off - at a later time and on a different device - without you ever having to remember to save anything. The last thing I needed to do was to confirm my order to the address that I wanted it sent to, (with the option to gift the order to someone else), put in any special delivery notes (very important for the delivery team! ), schedule the order (orders placed before 1pm can be delivered same day! ), and pay. Simple as that. …and finally loaded up for delivery into the Hart's Mobile. 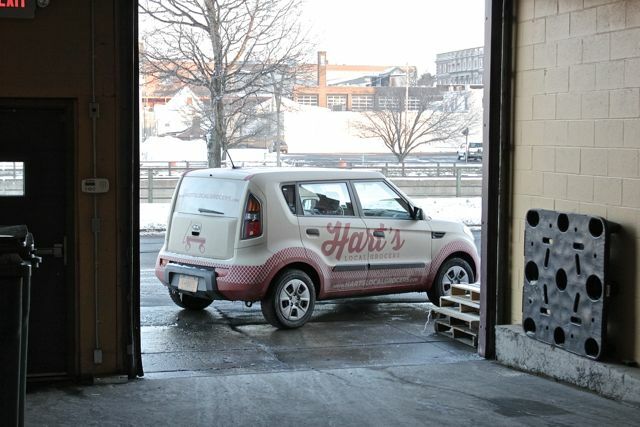 With a greeting that cannot be mistaken - the excitement and smiles of Hart's employees - it has become a part of their brand in everything that they do. - and getting your license photocopied (if you have alcohol delivered). …and the rest of the groceries. Needless to say, it was a really easy process and we were impressed. More Information: There is a service charge of $1.99 for in-store pick-up using Rosie, and a minimum $3.99 service charge for delivery. BONUS: Get a one-time FREE delivery anytime this month with PROMO code: FEBDELIVERY EXTRA BONUS: For all you RYP'ers, be on the lookout in the new RYP Perks App for another Rosie Delivery Promo Code coming soon. To say the least, We Hart Rosie! We thank the incredible team at Hart's - including Andrew Katz, Phil Knuepfer, and Jesse Fewkes - for all their hard work with the Rosie service for our city, and for delivering our groceries right to our door. Jason is co-Founder and Editor of the Rochesteriat. Grocery shopping just became a whole lot easier in this city with the help of Rosie...Check out more @JaySchwingle or Facebook.